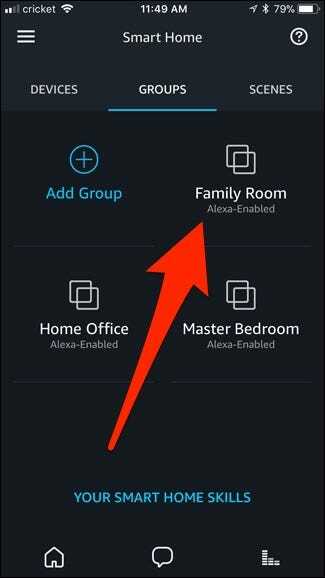 In the past, if you wanted to tell Alexa to turn the lights on or off in a room, you had to be specific as to which room. 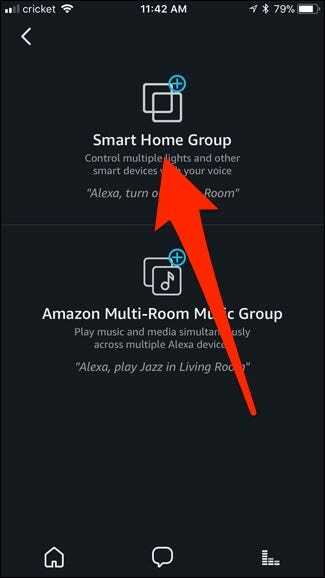 But now, with the new way Alexa handles groups, you can associate certain lights with a specific Echo device. 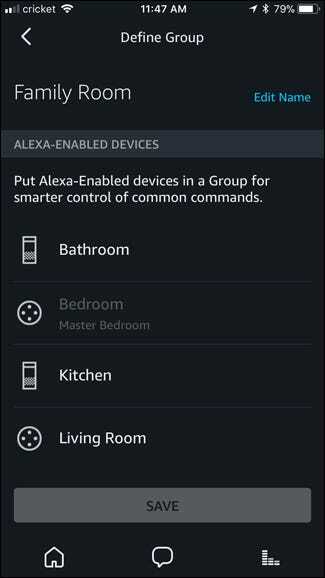 For example, you can now walk into your bedroom and tell Alexa to “turn the lights on”. She’ll know which lights you mean, without you having to say “turn the bedroom lights on”. Here’s how to set it up. 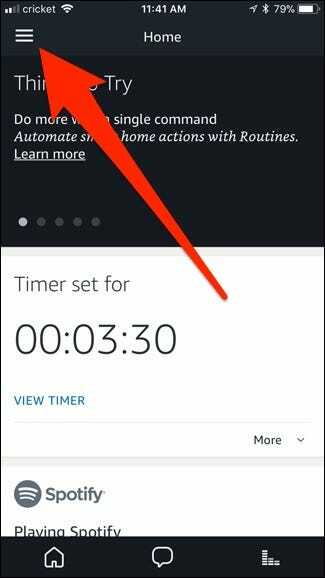 Start off by opening up the Alexa app on your phone and tapping on the menu button in the top-left corner of the screen. 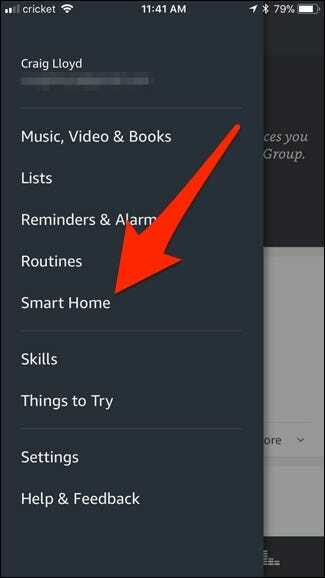 Select “Smart Home” from the side menu. Tap on the “Groups” tab at the top. 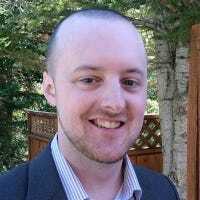 Give the group a custom name or choose from the list. Then hit “Next” at the bottom. 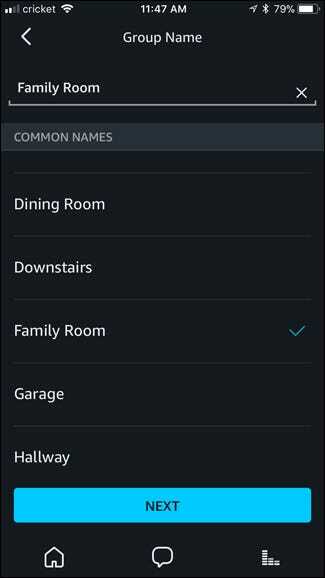 Be aware that if you already have a device or scene called “Living Room”, for example, then you can’t name the group “Living Room”. Next, select the Echo device that you want to associate with this new group. 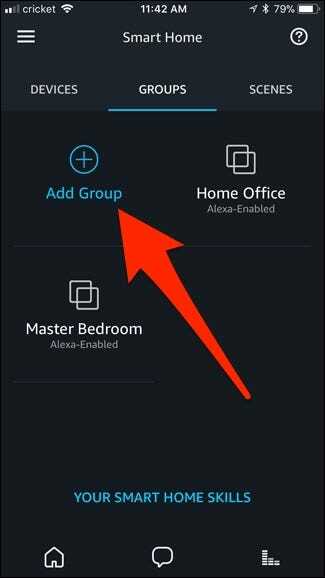 After that, scroll down and select all of the lights and other devices that you want to put into the group. Then hit “Save” at the bottom. Your new group will now show up under the Groups tab. 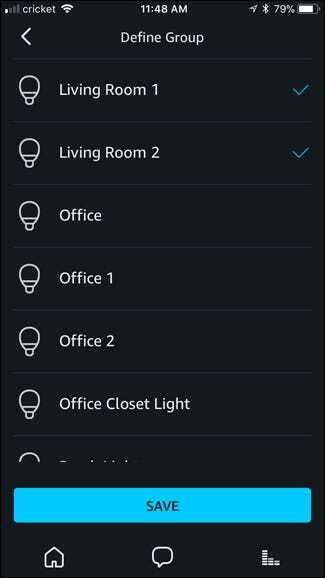 From now on, you no longer have to be specific with what lights you want to control. Instead, you can just say “Alexa, turn the lights on”. Of course, you can still be specific if you need to. 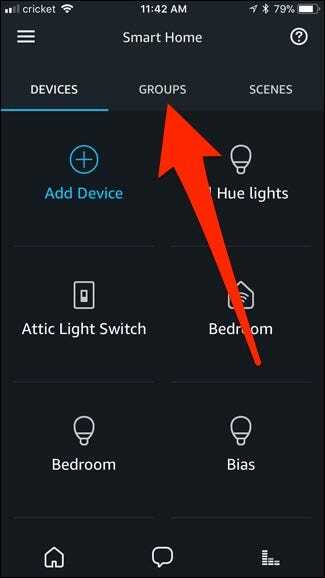 Like, if you wanted to turn on the living room lights while you were in your bedroom, you can still say “Alexa, turn the living room lights on”. However, if you’re not specific, Alexa will assume you mean the room you’re currently in.